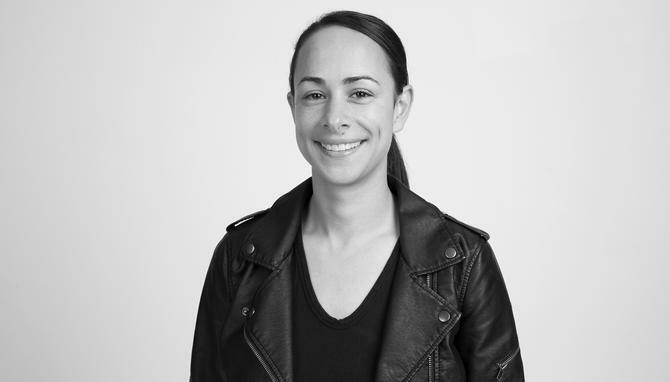 Understanding more about the customer and connecting the dots from their behaviour across a multitude of platforms, digital and in-store is the Holy Grail for General Pants GM of marketing, Renee Awadalla. With a core target market of 16 to 25-year olds, otherwise often referred to as 'gen Z' fast fashion retailer, General Pants, is at the tipping point of how consumers engage and respond to brands. For the group’s marketing team, it’s an ongoing quest to stay relevant with an audience that not only lives and breathes digital, but is also increasingly turning its back on advertising. General Pants’ media spend is heavily skewed towards its owned channels and content, and Awadalla said ensuring staff are well-versed in its brand identity is vital. At the same time, the importance of aligning digital with in-store can’t be underestimated, and she noted the retailer’s 52 stores nationally as key to engagement and communication. Overall, 70 per cent of marketing budget is spent digitally today, with the remaining on brand and retail-led initiatives. Underneath that, a comprehensive content strategy guides how General Pants interacts with consumers online and off. The retailer has identified four key themes: Skate, music, fashion and art. Alongside digital content, General Pants seeks out physical initiatives that encourage brand loyalty. An example is major sponsorship of Bowlarama, an annual skate event in Bondi that attracts 400,000 people over two days. “We are specific in choosing events and things we do outside of general day-to-day that allow consumers to engage with the brand that leads to advocacy,” Awadalla said. Of course, winning customers over today can’t be done without data and technology, and Awadalla said General Pants is working on its data smarts in order to understand what consumers want in order to deliver it to them. The retailer is in the midst of a company-wide CRM rollout, which will be pivotal in how the marketing team better understands customers and helps shift how frequently they shop. Gaining CRM technology capabilities will also assist with longer-term customer loyalty initiatives, Awadalla said. While there are a large amount of people in the database, Awadalla said General Pants is looking to build more data in order to introduce more granular customer segmentation and lifecycle engagement activities. This includes being able to articulate frequent shoppers versus big spenders. “Stage one is accumulating more data to get early reads on how we segment what we currently have,” she explained. In more recent times, General Pants has invested in data analysis through third parties and also brought on internal resources both within the marketing and online team, as well as across the rest of the business. Awadalla is the first to agree marketers can easily get bogged down with numbers and producing reports but not end up acting on them. “It’s about navigating and weaving your way through the data and pulling insights that will provide benefits and help you make changes,” she said. “A big focus for us, for instance, is finding trends in the data for key initiatives. An immediate priority is analysing customer information to gauge how frequently consumers are shopping, and what segments they sit in. That will formulate a larger part of the retailer’s CRM program, Awadalla said. Data and technology are also vital in ensuring seamless omnichannel experiences. One of General Pants’ most successful in-store initiatives, for instance, is its ‘General Pants Style Finder’, a software platform that allows staff to check stock levels across all stores in real-time. “If you wanted a pair of shorts in one size that are not in your local store, we can check which store has them and we ship it to you the next day,” Awadalla explained. “We’re able to track how many sales happen through Style Finder, and that allows us to shift stock levels based on insights that the tool provides us. As online retailers continue to grow, bricks-and-mortar retailers need to offer things that online can’t do, Awadalla continued. “Whether it’s exclusive offers you can’t get online, or offline experiences that differentiate and give consumers a purpose to come back to the stores, retailers who don’t do that will get sucked up by the digital world,” she claimed. An example is General Pants’ in-store interactive kiosks, which incorporate social media, fashion and music features. These include ‘insta-opinion’, for getting real-time opinions on how clothes look when worn, to a ‘what’s playing’ function to choose which tunes are broadcast through the store. Customer experience doesn’t stop there. As a way of illustrating the shift to end-to-end customer engagement, Awadalla said the team is capturing data, including click data, has built a preference centre, and is asking customers continually for feedback. Again, this forms part of the larger CRM personalisation strategy. “We are implementing social tools that allow us to have a holistic understanding of how our customer is engaging with the brand not only via their wallet,” she added. Throughout her career, Awadalla has seen the importance of staff development and collaboration as a marketer. She said she’s been lucky to have worked for great companies and leaders that offered clear career progression and the ability to engage with broad sets of colleagues. For example, at True Alliance, where Awadalla helped launch the North Face brand into the Australian market and created longstanding events such as the North Face 100, the business model was to sit like-minded talent together. “No matter what brand you worked on from a marketing perspective, you could pool ideas and learnings,” she said. Awadalla has also had the opportunity to build brands from scratch, and worked for the Merivale Group to launch Justin Hemmes’ Ivy venue and associated restaurants in Sydney. A milestone was coming up with the ‘March into Merivale’ events program, aimed at driving awareness of the group’s portfolio of brands. During this time, she also completed a Masters of Marketing, focusing on a market entry strategy for South America. After a global brand role at Bendon Group, Awadalla joined General Pants four years ago. One of the biggest differences in her current position is that Awadalla works hand-in-hand with General Pants’ GM of ecommerce. She said the marketing and ecommerce teams are fully integrated, meeting regularly each week on joint projects and initiatives. She also noted the increase in digitally and data savvy people on her team, as well as the emphasis on strategic marketing in the recruitment and hiring process. Leveraging technology platforms and capabilities for marketing and customer engagement also means collaborating with other parts of the business, Awadalla said. “Every department is so intertwined that without those good relationships, you couldn’t possibly have a sound business,” she said. Alongside collaboration, Awadalla said modern marketing leadership requires an instinctive hunger for change and success. She also suggested it’s about embracing innovation, adding that comes back to customer focus and data.